encore Deals! 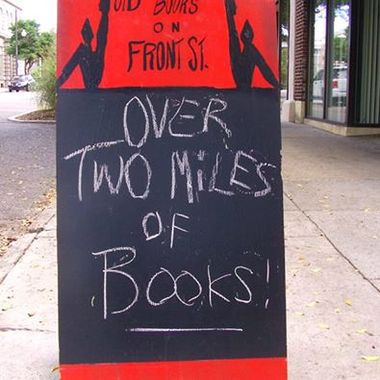 | Literary Walking Tours! Must make your reservation a week in advance and let Old Books know you’re paying with an encore voucher: (910) 762-6657. Not valid with any other offer. No refunds allowed. Meet at 249 N. Front St., Saturdays, 1:15 pm. Have you ever wanted to meet authors living and dead, tour locations from books, poems, and plays? Explore the rich culture of this talented Southern town with a 90 minute walking tour of the literary history of downtown Wilmington, NC. Visit “The Two Libraries”, walk the streets of your favorite novels, and stand where Oscar Wilde did when he lectured here. Every Saturday 1:30pm. Meet at 249 N. Front St. 15 minutes before departure.